Coordinate, review, and advocate for activities that increase the participation, recognition, and retention of women across all career levels. Provide forums for discussion and resolution of scientific, technical, and administrative issues raised by members. Increase awareness of and appreciation for the diversity of Society members. See the September issue of Health Physics News for information about the section's initial formation. Contact Nicole Martinez (acting president) or Kendall Berry (board liaison) for more information. Are you interested in serving as an officer or on the board? Do you know someone who would make a good leader for the section? Volunteer or nominate your colleague to run for office! Positions include president, president-elect, secretary-treasurer, and 3 board members. Please send nominations to Nicole Martinez at nmarti3@clemson.edu . Section presidents can nominate individuals for most of the awards given by the HPS. If you would like to nominate someone for a Society award, please send the appropriate nomination package to Nicole (acting president); the steering committee will vote to select the section’s nominee. 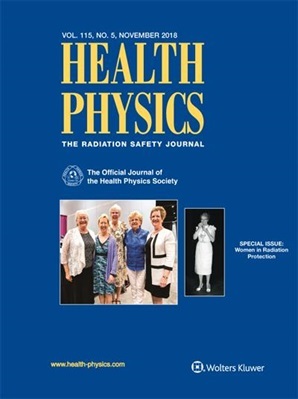 The Inclusivity in HP Award is a new award intended to be given annually by the Women in Radiation Protection Section to a member of the HPS who, in the past year, has made significant efforts in widening participation and promoting inclusion within health physics and related disciplines. Such efforts might include (but are not limited to) (1) improving the experience, involvement, and/or development of underrepresented persons and/or (2) fostering attitudes, relationships, or environments that are welcoming and accessible to all. Nominees may be at any career stage, and self-nominations are encouraged. Letter of nomination including why the nominee is deserving of this award. Two letters of recommendation—one from within HPS, one external to HPS (to provide broader context of inclusivity in the nominee’s professional life). Nominee’s personal statement (assumed to indicate nomination acceptance). The winner will be announced at the Society awards ceremony. This award may be postponed if no nominees are received who meet the award criteria. Protection special issue of Health Physics!